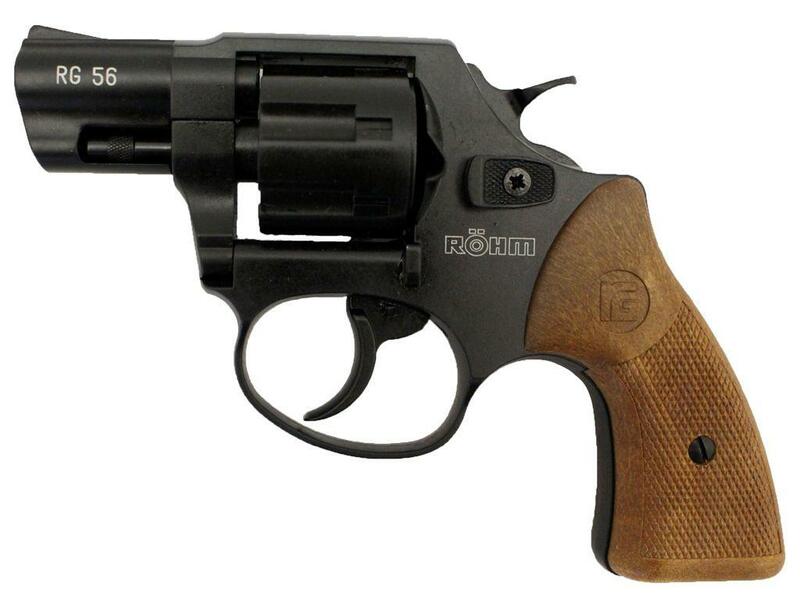 Rohm RG-56 .22 Blank Revolver | Replicaairguns.ca | New Website! 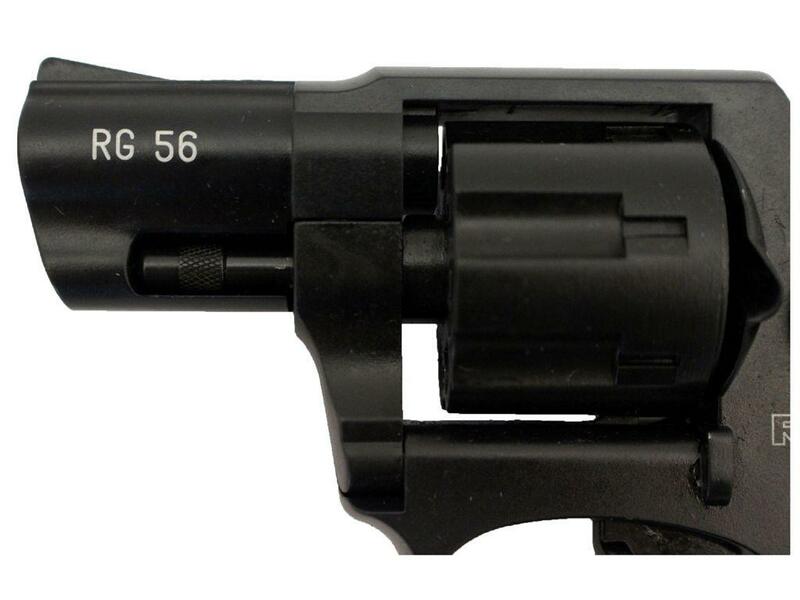 Trigger Pull: The trigger pull on the ROHM RG-56 blank revolver in single action is nice and light. The action is very solid, so cocking requires a firm grip. It also allows for double action shots and while it takes some force, the mechanics are very smooth and you can really feel the German quality in the hammer and trigger. 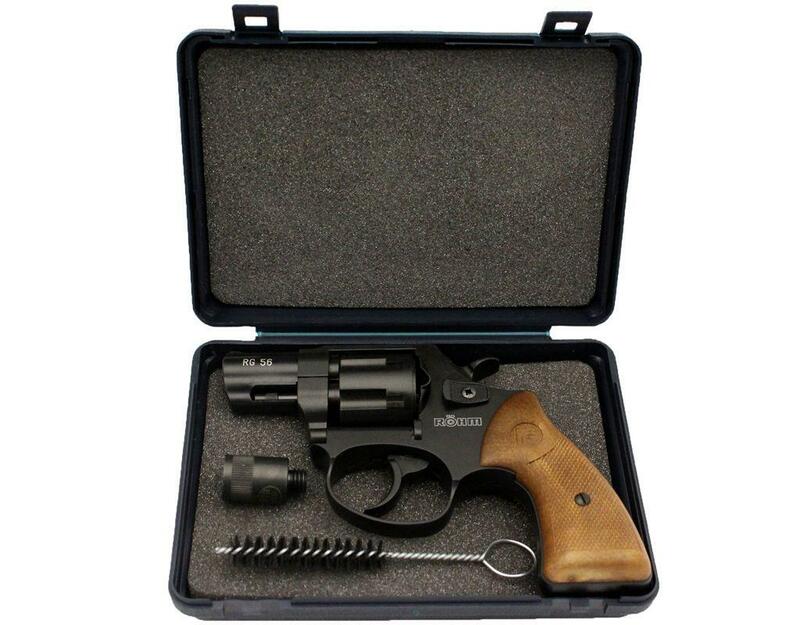 Build Quality: Even though this revolver is made as a blank/signal gun and utilizes scaled down metals (not high pressure gun steel), it is made very well and many of the internal mechanical parts, pins and screws are solid steel. The fit and finish is excellent worked flawlessly for me in my testing. 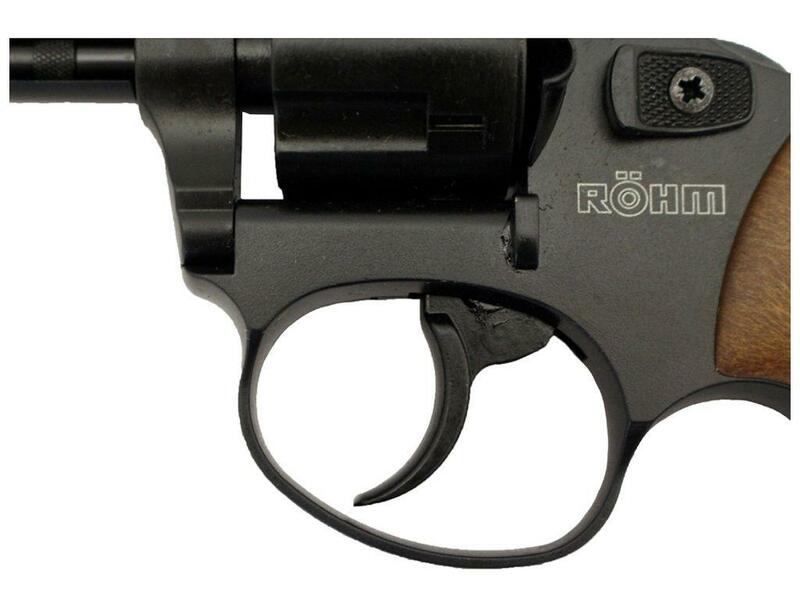 Realism: This ROHM revolver is a derivative of similar real guns, but it was made from the ground up to be a blank gun and cannot be converted in any way shape or form to fire live ammo. The quality and feel is very believable, it also fires out the front of the barrel and can shoot 15mm flares with the flare adaptor attached. Comments: We now have a blank gun that seem to be somewhat available in Canada... At least for now! 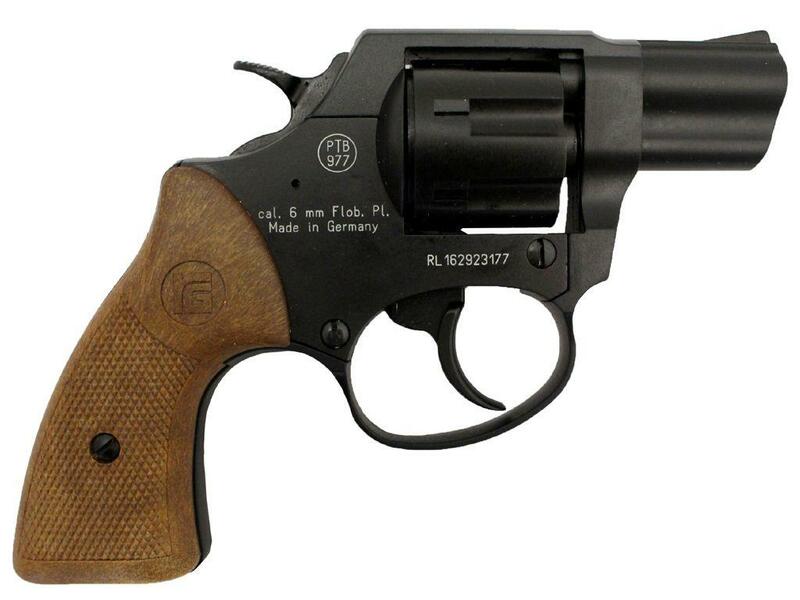 And even though some of the other blank guns I was selling may have been more to the liking of the folks that were looking for a semi-auto styled blank gun, the good news is this gun is very high quality and revolvers in general are very dependable. I also like the fact that it's fairly compact and if you want to take it with you out on a hike or in the back country, it will not take up much room or add too much weight. 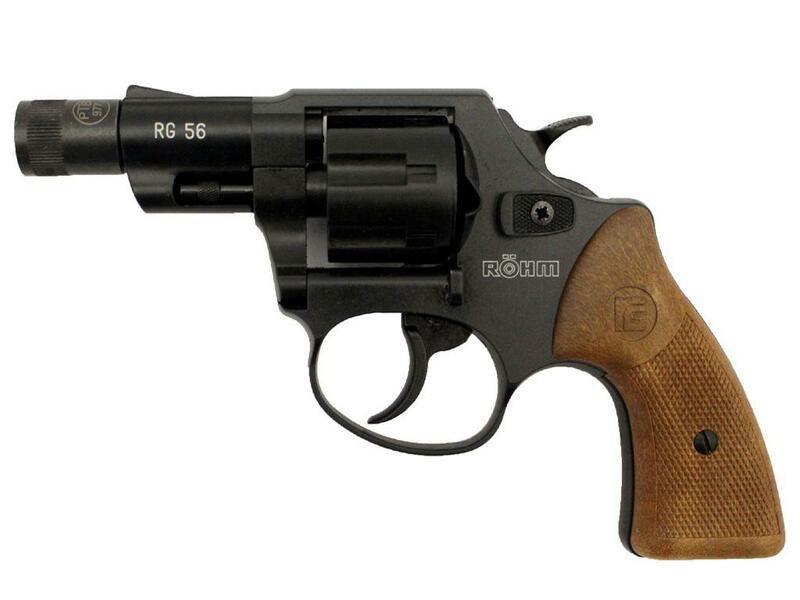 http://www.ReplicaAirguns.com - ROHM Le Petit RG-56 and Little Joe 6mm - 22 Caliber Blank Revolver Review. -.22 caliber crimped blanks (6mm Flobert). 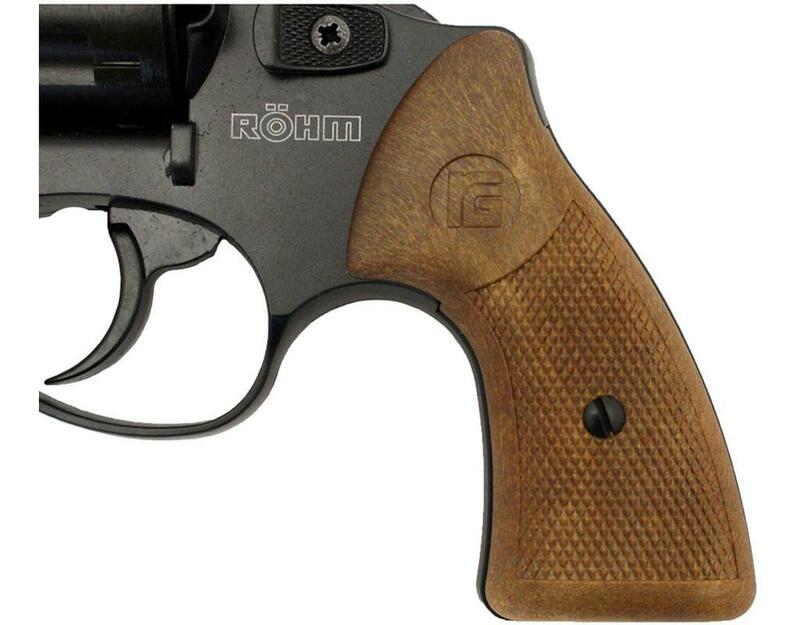 In this video review, I take a look at the Le Petit RG-56 and Little Joe .22 caliber (6mm Flobert) blank revolvers made by ROHM in Germany. I talk about many of the features and benefits of these very well made compact blank shooters. I also take a few shots with each blank revolver and record the video results using both HD and slow motion cameras.